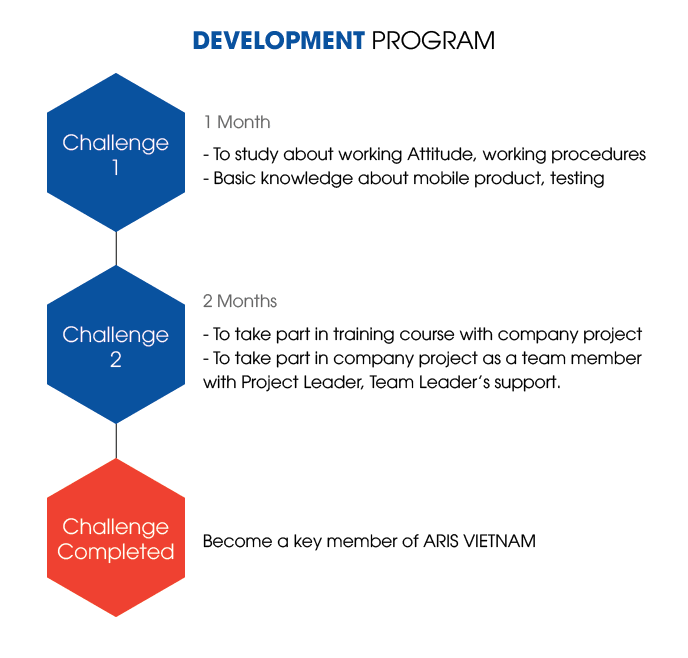 With mission “The Quality of Product, the benefit of Client are always considered as the leading goal”, ARIS always willing to support/build an attractive working environment for all staffs to have a chance to learn, to work and to improve themselves as well as constantly seek new talent, especially young talent. 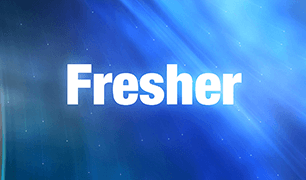 Fresher Challenge Program is a program that ARIS gives a chance for the freshers, who want to challenge themselves with new chances, want to take part in our environment to improve their skills, as well as want to prepare knowledge, experience for their further target/goal in the near future. Be trained on working attitude, procedures. Be trained on technologies, knowledge in Mobile Programming or Testing field. Join in Company Project with Japanese Customer from Japan, as well as in Vietnam. Have a chance to become ARIS Vietnam’s member. Just graduated or Internship Student, IT Major. GPA: over 7/0 is a plus. Interested in Mobile Programming (Android, iOS) or Testing is a plus. English: fluently is a plus.